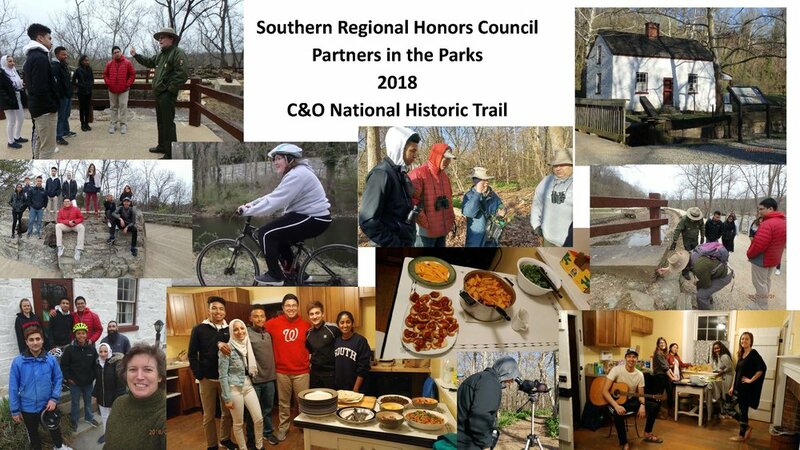 Thanks are due to Christina McIntyre for coordinating the first SRHC Partners program at the C&O National Historic Trail following the 2018 SRHC conference! A significant gift to the University of North Florida from the Hicks Family Foundation in 2015 provided for the creation of the Hicks Honors College from the previously existing Honors Program, and now the university seeks an experienced visionary leader at the decanal level to develop a world-class Hicks Honors College. The Dean of the Hicks Honors College (position #330610) is a full-time (1.0) appointment and reports directly to the Provost and Vice President for Academic Affairs. The Dean serves as the academic and administrative head of the Hicks Honors College. The Dean will be responsible for the leadership and administration of all aspects of the Hicks Honors College, including managing the budget, developing the curriculum, organizing co-curricular activities, liaising and articulating with academic colleges and departments, working with Residential Life and Undergraduate Admissions on housing and recruitment issues, and collaborating with University Development and Alumni Engagement to enhance funding for the Hicks Honors College. Priorities include curricular development; recruitment with attention to enrollment growth, diversity and international representation; and enhancement of undergraduate research opportunities, achievements and study abroad programs. Required qualifications include an earned doctorate from an accredited college or university in a discipline eligible for tenure within one of the College’s academic departments/schools, a distinguished record of scholarship and teaching commensurate with appointment at the rank of full professor, and a minimum of three years of experience in academic administrative leadership positions and honors education. 6. Experience developing initiatives fostering recruitment, advising, and retention of a strong and diverse student body. Review of applications will begin September 15 and all materials should be received by that date for full consideration. The position is open until filled. To apply for this position, a candidate must complete a one-page online application in the UNF Human Resource system (OASys) at www.unfjobs.org, and upload a letter of interest articulating a vision for the college and addressing the qualifications mentioned above, and a curriculum vitae including the names, titles, business contact information, and email addresses of five references. It is anticipated that the successful candidate will start no later than July 1, 2017, although a start date as early as January 2, 2017 is possible. Questions regarding this search should be directed to: Dr. Daniel Moon, Chair of the Search Committee and Interim Dean of the College of Arts & Sciences, University of North Florida 1 UNF Drive Jacksonville, FL 32224 (904) 620-2560, dmoon@unf.edu.